Looking for hot craft ideas to sell? Crafts that make money are fun and can be profitable if you decide to put your crafty talents to their best use! 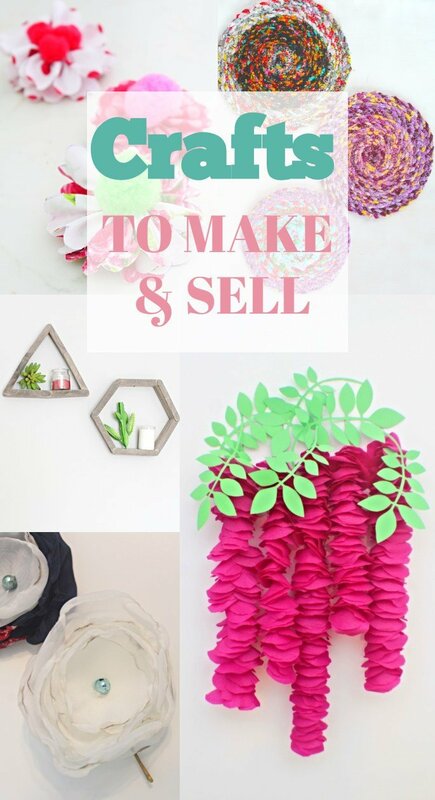 Check out these awesome ideas for crafts to make and sell! Did you know that many people make extra money by selling their homemade crafts to craft fairs, flea markets or through the Facebook marketplace? Check out these awesome ideas for crafts to make and sell and put your love for crafting to a good use! 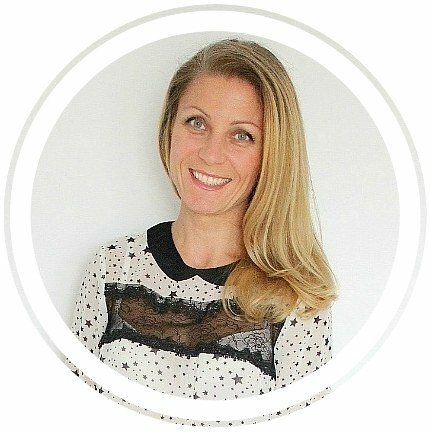 There are of course millions of ideas but this site is a great resource since it’s packed-full of amazing craft ideas to sell! It all started out of passion but lately I’ve realized these easy DIY ideas are also great homemade crafts to sell and make a little profit! My DIY crafts to sell are super convenient as all of them use affordable materials (some recycled), are crazy easy to make, even kids can help you with these and don’t take up a lot of time. These crafts to make and sell are great weekend projects or perfect to kill boredom on those rainy days. So if you’re a busy person but still flirting wit the idea of making money our of your homemade crafts, these ideas are perfect for you! What are the best crafts to sell? The ones that don’t require a lot of materials (preferably they are made out of recycled materials so you don’t spend money on them), are easy to make and are ready in no time! You don’t want to turn making these crafts into a burden, instead you want to have fun doing them and turn that fun into a nice profit. Some people are crazy for accessories, some love home decor ideas but it’s important to create crafts that make you happy and that you are good at making! What can I create to sell? Virtually any craft can be sold, from DIY to sewing projects if you love sewing. Pillows, bath bombs, jewelry, candles, t-shirts, picture frames etc Whatever you’re good at making and doesn’t involve lots of time and money to make, is the perfect craft to sell. 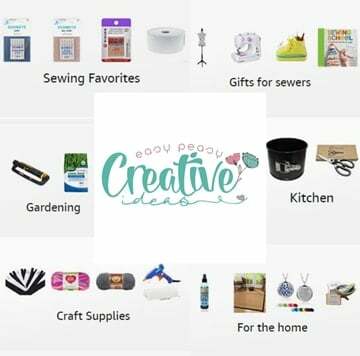 There are a ton of places where you could profit financially from these DIY crafts to sell but in my opinion the best are your own website (if you have a large following), Facebook groups and Facebook marketplace, of course, Etsy, Craftsy and Dawanda. These are my favorite places but Amazon, EBay and Artfire are also good places to sell your handmade crafts. You can set aside a few hours during the weekends for these easy peasy crafts to make and sell or you can just focus on doing them all at once or maybe over a couple of days. These are crazy easy and quick and are the best projects you need if you want to start making money out of your passion! 5 Minute sock bunnies – This simple sock bunny craft is so easy and literally takes minutes to make, you’ll find yourself making bunny after bunny. It can also be a great Easter craft to make with kids. Burlap bunny door hanger – This lovely bunny door hanger is the perfect addition to Spring and Easter decor and it’s fuss free. Ready in less than 15 minutes, this can be made with no sewing, just use fabric glue. String Easter eggs – These string Easter eggs are safe to make with kids and are super fun, taking only a few minutes to make. Glitter key necklace – You’ll love this DIY glitter key necklace! It’s not only easy and quick but so adorable too, it will add glam and sparkle to anyone’s life! This also looks kind of vintage so it’s perfect for someone into vintage stuff. Hyacinth paper flowers – These gorgeous swirly paper flowers are really easy and fun to make! Truly unique and so impressive! Scarf Christmas wreath – A simple and easy project, this Christmas wreath tutorial is going to take less around 5 minutes to put together and the result is a gorgeous Christmas decor. Wire snowman decorations – Make interesting snowman Christmas ornaments like these simple, easy and inexpensive wire decorations! These snowman decorations are also a good way to use wire that’s just hanging around with no use and an awesome way to cheer up the kids when they feel down. Mini gift boxes – These are a great opportunity to use up something we normally throw away without realizing it can be used for so many beautiful things: toilet paper rolls. Valentine’s day pillows – So easy, quick and fun to make and are practical and pretty affordable. Fabric twine trivets – Got fabric scraps? Then this project is perfect for you! These rustic trivets will add personality to any kitchen and are as cute as a button! Decorated candles – These ribbon candles are good for more than just light and scent, super adorable and a great way to express your creativity, on the budget! Crepe paper honeycomb pom poms – These adorable honeycomb pom poms are easy to made with crepe or tissue paper for a fun decor, perfect for any party! Wine cork coasters – These DIY cork coasters are an easy and fun eco-friendly way to turn your love for wine into something awesome! Aged terracotta pots – These aged terracotta pots are so insanely easy to make you’ll find yourself whipping up a bunch of these in just a matter of minutes! Rustic twig flower pot – Twigs are easy to find and so much fun to work with! Gather a bunch and make a cheap but impressive and pretty rustic flower pot! Painted coffee filter flowers – These coffee filter flowers look very realistic and are so much fun to make! Gel air freshener – Everyone loves a nice scent in their homes! This gel air freshener is useful, affordable and so easy peasy to make! Craft sticks shelves -These geometric wall shelves are not only functional but they’re cute and beautiful as well. This stick shelves project is so easy and affordable, requiring just a handful of supplies. Outdoor rope rug – So easy to make and a great way to add some rustic touch to an entryway! Wine bottle home decor – Re-purpose those old wine bottles you keep collecting with this simple but gorgeous wine bottle art idea! Spooky cute wire spider web – This is a super cool home decor idea, a fairly easy project that doesn’t require much skill. Just as a spider weaves its silk, you will use wire to design your spiderweb. Homemade vapor rub – Offers instant relief for a cough, stuffy nose and chest congestion and uses only natural ingredients! Wine cork pumpkins – So adorable and crazy easy to make, these pumpkins are such an amazing home decor idea! Tinted lip balm – This DIY tinted lip balm uses only natural ingredients so it’s safe for you and the environment and is super effective for chapped lips! Rustic photo frame with twigs – Rustic home decor makes any space cozier! This frame is easy, inexpensive using affordable and easy to find supplies like twigs and twine. No sew fleece scarf with fringe – a warm, cuddly fleece scarf perfect for the cold days! Glittery jar luminaries – These super easy and simple but oh, so gorgeous mason jar luminaries are a great decor idea for weddings, holidays, Christmas, or even a party! Super easy to transform into jar lanterns! Flower hair ties – Make a bunch of cute hair ties in no time with these easy & speedy DIY hair ties! Coiled rope rug – This fun looking rug adds a bit of a nautical touch to an entryway! Perfect for outdoors, this coiled rope rug will stand is made with durable jute rope so it will stand the test of time with no problems! Wisteria flowers wall decor – A wisteria home decor is the perfect romantic touch! And this artificial wisteria wall hanging looks fabulous, is inexpensive and so easy to make! Frame key holder – This 2 minutes frame key holder will help keep the clutter at bay in a cute, original way! Flower hair pins – These flower hair pins are so easy and quick to make with singed flowers from fabric and regular bobby pins!